Today brings mixed news on software sales for Nintendo, though perhaps it's a positive in the market that brings the big N the most success. In Japan, Andriasang has translated results published by Enterbrain and Famitsu that show Nintendo as the biggest selling software publisher for May. Covering the period for 30th April to 27th May, Nintendo-published titles accounted for 27.8% of all software revenues in its homeland, with Capcom following with 26.4%. On the other side of the coin, the latest weekly charts bring disappointing news in the UK. Heroes of Ruin, the dungeon-RPG from n-Space on 3DS, has failed to make an appearance in the UK top 40 in its debut week, only managing to be the fifth best-selling title on the 3DS-specific chart. 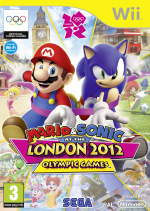 Those titles that did make the all-format top 40 were the usual evergreens in similar chart positions from previous weeks, with Mario & Sonic at the London Olympic Games still holding firm in 9th place. A disappointing result for last week's big 3DS release, particularly as Nintendo itself is responsible for sales, marketing and distribution of the title in the UK. Results in Japan continue to impress, and converting that success to other audiences is surely high on Nintendo's agenda. I've been highly anticipating Heroes of Ruin but I didn't expect it to sell too well. Also, it seems to be really lacking in replay value which is a shame, so unless they fix that then it'll probably stop the title from selling too well in the future either. I'm still picking it up when it comes out here on Thursday, but I'm no longer as excited as I was about a week ago. Well, there where (Apparently) a lot of (practically) game breaking glitches, such as bosses not respawning after you've beaten them. Damn I was hoping it would do better than that. I'm not the biggest RPG guy but I am still getting it. It hits Australia on the 21st. Hopefully it will do better here! @BenAV How many times a day to you hit refresh LOL. I mean you have about a 25% first post rate! maybe that is a good sign? @Tech101 Haha, I guess it's just force of habit now to just press F5 whenever I get a quick break from whatever I'm doing. I still need to see a review though before being 100% committed but the demo was pretty cool! 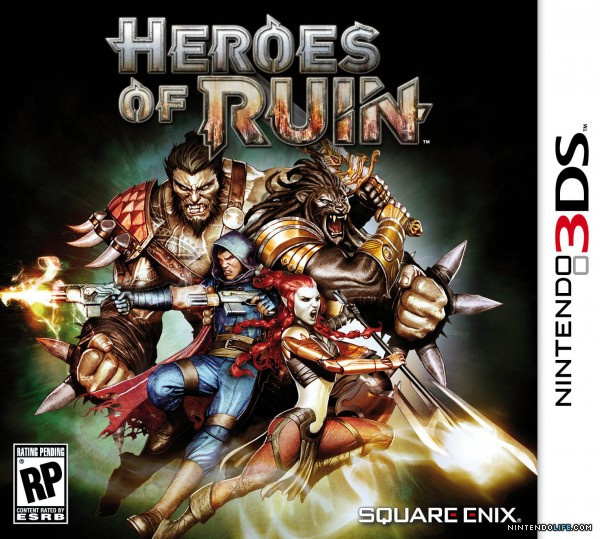 I was considering buying Heroes of Ruin but, and this is going to sound pretty shallow, the game is really ugly. The character models don't look all that great, the game is littered with ugly textures and the frame rate was pretty bad in spots. I might consider it at a lower price point, but nothing about the demo really grabbed me. Lollipop Chainsaw is doing fantastic. That's all we need to know. Lollipop Chainsaw came out the same day. Anyone here played Lollipop Chainsaw? Should I be buying that instead? Yes I know it's only for PS3/360! About time one of Suda's games sold well. @SkywardLink98 That is not a glitch, that is sadly how it is supposed to work. The Heroes of Ruin demo sucked, so boohoo. Yet another irrelevant 3DS game. when does HOR come out in the US? We got boned this time around, for some reason. Can't wait to play Heroes of Ruin (I'm in the U.S.). I'm getting a copy & my dad is too. I'm sure its going to be a lot of fun! So where is the review? I need to know if I'm wasting $40 or not. ecco - you're wasting $40. Literally any other console has a better Diablo clone than this. Even the Vita/ iPad has Dungeon Alliance, which was the worst click-n-slash game this generation. It was, before Heroes of Ruin replaced it. Yes because a game that sells well in Japan is automatically going to sell well elsewhere. Also, Capcom's job is not to sell 3DS units for Nintendo. Didn't try the demo yet as I don't think it's out yet in america (Canada actually) but you have to remember that it's a demo not the actual game so some times there is some bugs in them that won't be in the final game. I'll wait for an official review before making my mind but i've been waiting for this so it would be dissapointing if the game was bad. ...anyhoo, ive been loving the game plenty of crap to collect on it, daily challenges are fun and I dont think that the non spawning bosses are a glitch... they are dead how many times do you have to kill a boss. The point is when a quest is complete you cant do the quest again, afterall you already have the reward and to complete some of those quests you have to kill a boss. So it doesnt seem like a game breaking glitch to me its just how the game works. You get to have four save slots anyway and when your playing online you play it in the hosts world so if they have the boss in their world you will get to fight them all over, and with all the different combinations of skills and stat boosts, character equipment, etc. Its worth starting over again anyway so I dont find replayability an issue. To sum it up, it isnt the greatest game in the world but I have found that it is well worth the money and you get out of it whatever you put in. This game didnt sell well down to shops not stocking it rather than a bad game. I haven't even been able to download the demo. Does anyone know when this is arriving to the states?